DUBLIN, Ireland – 14 July 2015 – In light of news surrounding the recent Belfast Titanic Half Marathon experience, the Rock ‘n’ Roll Marathon Series is offering 50% off entries to disappointed Titanic entrants to run the Rock ‘n’ Roll Dublin Half Marathon on Sunday 2nd August 2015. Race director Rob Griffiths said, “As runners ourselves we understand the level of investment that runners make to prepare for a race and can imagine the disappointment when race day is not the experience that was anticipated. When news of the Belfast race came out over the weekend, we wanted to do something to support our fellow runners. We hope that Titanic participants will continue their race journey and join us in Dublin on 2nd August 2015 to put their hard training to work”. We operate more than 30 Rock ‘n’ Roll Marathon Series events around the world, and as such runners have come to know and love our well-organised races that feature all the bells and whistles such as massive finisher’s medals, technical t-shirt, well-stocked aid stations, bands along the course and a finish festival concert, among other things” said Mr Griffiths Race director. Titanic runners must email proof of registration to rnrdublin@competitorgroup.combefore 24 July with subject line of “Titanic Transfer” to receive an individual discount code to register for the Rock ‘n’ Roll Dublin Half Marathon (£17.40/€24.50 with the special 50% off discount; current full price is £34.80/€49). Rock ‘n’ Roll Dublin Half Marathon hosts the AAI National Half Marathon Championships. The route starts at Dublin’s Docklands area, running along the north side of the Liffey River and offers a scenic tour of Dublin’s city centre, passing many famous landmarks including Ha’Penny bridge, Christ Church Cathedral, Brazen Head Pub (Ireland’s oldest pub), James Joyce Museum, and the Guinness Brewery. The event concludes in Phoenix Park with a finish line festival and upbeat headliner concert. Participants who run both the half-marathon in the morning and the 3K in the afternoon will receive double the “bling,” meaning a finisher medal for each race. The shorter 3K distance is also a great way to get the entire family running. *The offer is only valid for runners who participated in the Titanic Half Marathon and can provide proof of registration. The 50% off code can only be used toward the half marathon distance of the Rock ‘n’ Roll Dublin race. Emails requesting the special discount must be made by Friday 24 July and codes must be redeemed online for a race entry before Sunday 26 July. Codes will not be accepted onsite at the Expo or race. The Rock ‘n’ Roll Dublin team will provide qualifying participants with registration instructions and a one-time use 50% off discount code, which must be redeemed online for a half marathon race registration before 26 July. A Competitor Group event, the 3rd annual Rock ‘n’ Roll Dublin Half Marathon will return on 2 August 2015, taking place for the first time on a Sunday instead of Bank Holiday Monday. The event will feature the best of local talent with live bands entertaining participants along the scenic course. 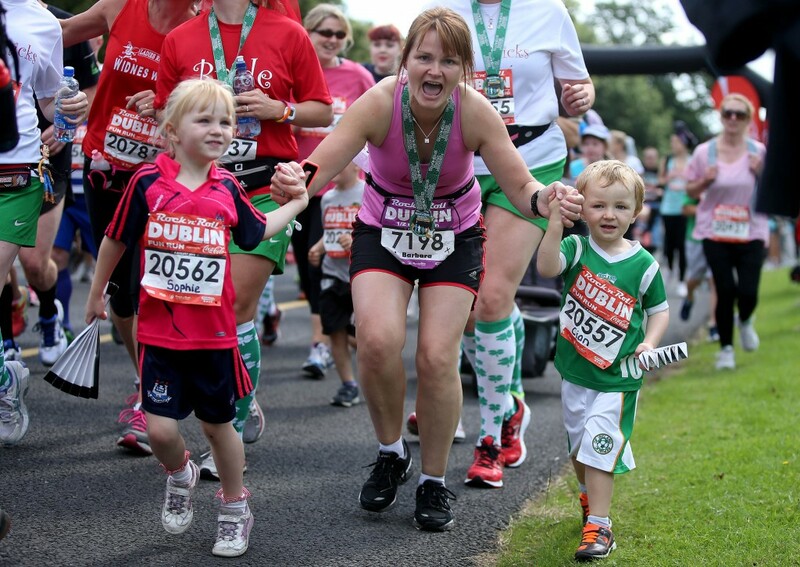 The race starts in the heart of Dublin at the Docklands, runs along the River Liffey, travelling past many of the city’s historic landmarks, and finishing in the scenic Phoenix Park. 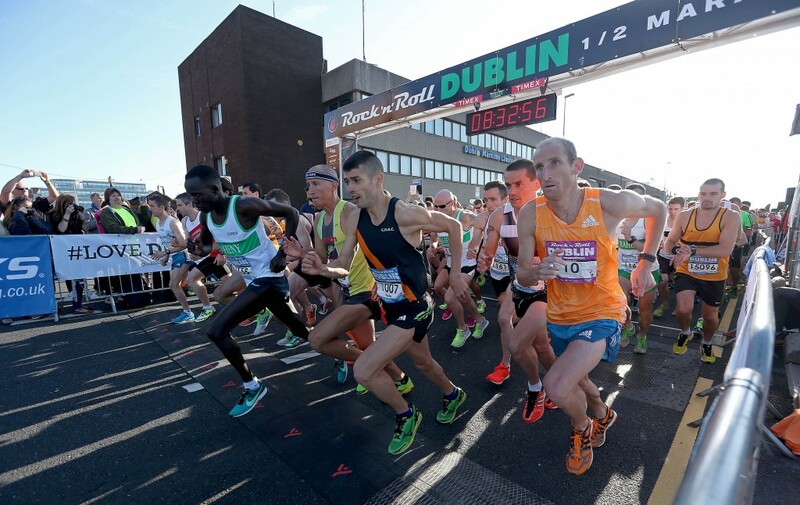 The Dublin race is part of an international series of entertainment themed marathons and half-marathons, which revolutionized the running industry in 1998 by infusing the race course with live bands, cheer teams and entertaining water stations. Over the 18-year history of the Rock ‘n’ Roll Marathon Series, charity partners have raised nearly $310 million through the events for a variety of worthy causes. For more information about Rock ‘n’ Roll Dublin Half Marathon or to register for the event, visit rocknrolldublin.com or follow @RnRDublinHalf on Twitter.